Congratulations on your recognition as a Best Entrepreneurial Company. We are honored that you chose to share your company's story with us—now, share it with the world. 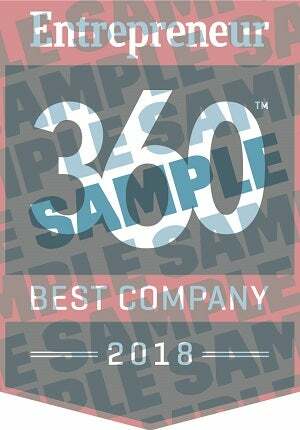 Take advantage of these custom tools and offers exclusively for 2018 Entrepreneur 360™ recognized companies. Your placement on the Entrepreneur 360 list distinguishes your company and is worthy of promotion to your existing customers, new prospects and partners to help in the continued growth of your business. To help you maximize the value of this award, we offer a full suite of specialty marketing and communications tools. Visit www.EntrepreneurReprints.com/rankings or call the official reprints and licensing provider for Entrepreneur, PARS International Corp. at (212) 221-9595 ext.108 to license the official Entrepreneur 360 logo and learn about all available offerings . Customize the press release template provided and get the coverage you deserve. If you would like to update your company profile and/or submit a new logo, click here.